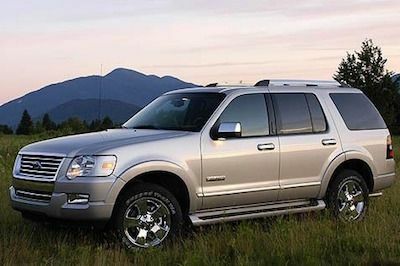 The Ford Explorer is an immensely popular vehicle on the road today. Since they are so popular, there are many imitation parts on the market for the Explorer, as well as parts for the F-150 and the Mustang. When you choose FordPartsOnSale.com, you can be assured that you are only getting the best genuine factory replacement parts because that is all we sell. Maintenance Parts - Keep your engine clean and your Explorer running smoothly by using genuine factory replacement oil filters, air filters, belts, and hoses. Floor Mats - Protect the interior of your vehicle from dirt, mud and spills with authentic Ford floor mats, available in carpeted and all-weather styles. Authentic floor mats will be an exact fit. Powertrain Components - We carry a full line of engine and transmission parts for the Ford Explorer that includes the V6 and V8 models with either 4WD and AWD. You can count on the staff at Ford Parts on Sale to provide you with the friendly service you deserve and the experience you can count on. Each member of our team has extensive experience working with genuine Ford parts. We carry replacements for Ford vehicles made since 1984. When you choose us, you will always get exactly what you need. Ordering from us is simple! Our online parts look-up is available 24 hours a day, 7 days a week. If you have a question, you can call us at 585-475-1064. Shop now.